This camp is designed to introduce younger children to camping. 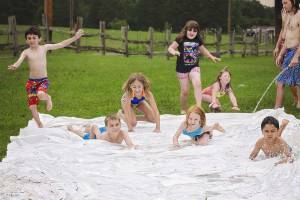 For Campers entering grades 1st-3rd, it packed full of fun rafts, swimming, nature, farm animals, games and more. Starts Sunday at 5pm and ends at 6pm on Tuesday.